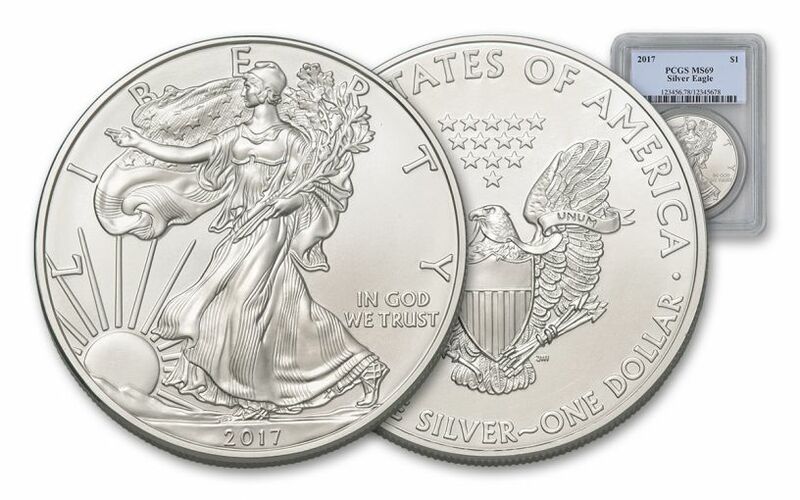 2017's Silver Eagles Are Ready to Soar into Your Collection! 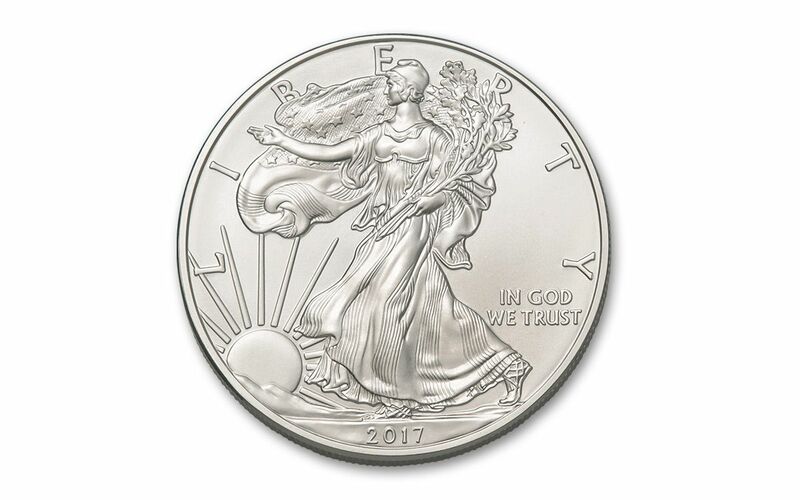 It's time to add 2017 Silver Eagles to your collection! 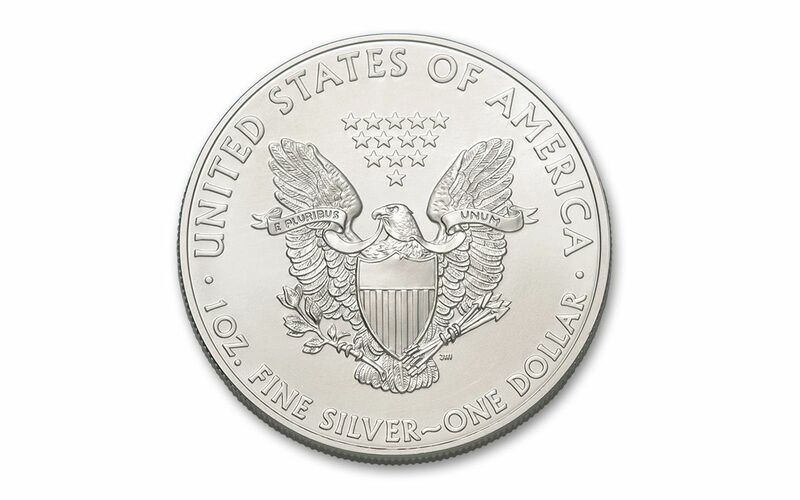 This large silver coin is America's official silver dollar, and is minted from one-ounce of 99.9% pure silver, a fact that is struck right into the surface of the coin below the eagle on the reverse. This is your government guaranty of the coin's weight and purity. 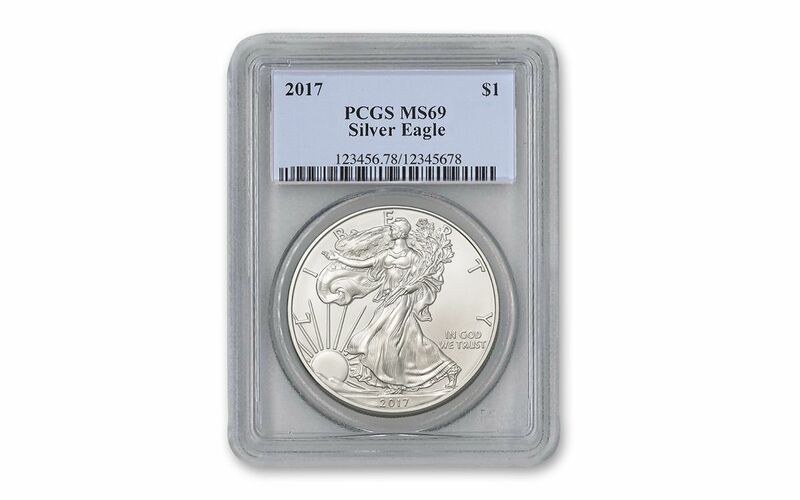 Many collectors prefer to own their Silver Eagles in independently certified and sealed coin holders, like these near- perfect Mint State-69 (MS69) coins graded by Professional Coin Grading Service (PCGS). One of the leading independent coin certification companies in the world, PCGS has a team of experts who carefully examine and assign a numerical grade to each coin. Many collectors prefer this coin's grade pf MS69 because it offers great quality at only a small premium above a non-graded coin.